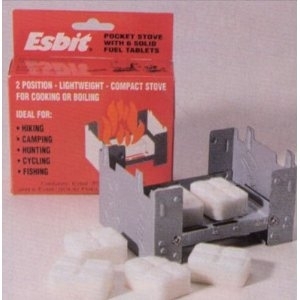 Esbit Pocket Stove. Pocket size steel stove folds to 3 x 4 x 3/4. Ruggedly built. Includes three 14 gram solid fuel tabs.